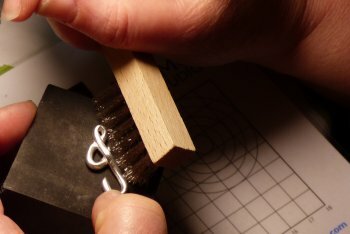 Precious Metal Clay (PMC) - make your own silver jewellery using PMC, including a pendant, earrings and a necklace incorporating an initial letter - your own or someone else's! In this workshop you will learn about the fascinating world of jewellery-making with Precious Metal Clay - aka. PMC. PMC is a clay-like combination of pure silver and organic binders that, when fired, become solid silver. 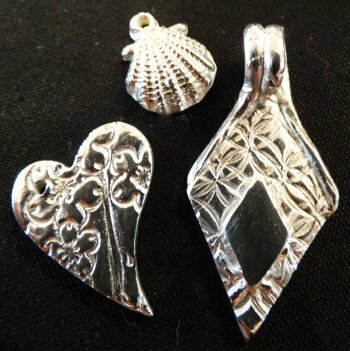 This class cost includes 15 grammes of silver PMC - enough to make 3 projects, created to give you experience of a range of clay making techniques. After discussing the properties of PMC, the options for firing and how to make the most of your clay we'll begin with a simple earrings project. You'll learn to handle the clay, roll it out and add textures, cut out shapes and refine the finish of the clay before firing in the kiln. 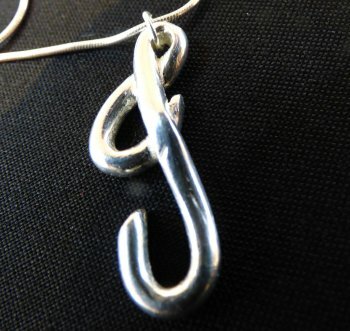 Next, you'll make a groovy 'Initial Letter' necklace about 40mm high, like the one shown on this page. 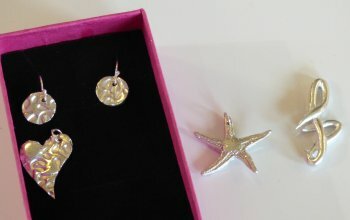 You can choose your own inital, or make a personlised silver gift for someone else! With this project you'll learn about some of the clay modelling properties that make PMC so versatile. Your third project will teach you finishing and polishing techniques that you can apply to future projects. You'll make a pendant with clay decorations of your choice and incorporating a 'high-shine' element to give a bright, highly polished look to your piece. You'll also learn how to make a bail out of PMC to add to the back of your pendant. If you have enough clay left over, you can then make a fun, personalised cartouche using our letter stamps or a silver charm using a rubber mould. 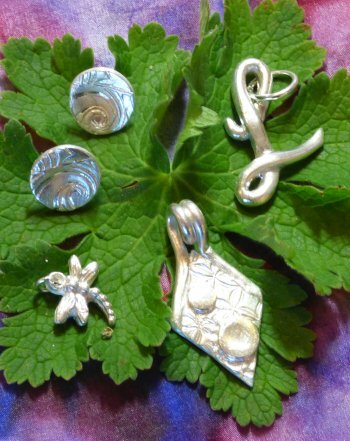 We provide enough silver clay for your main projects as part of the course cost; more can be purchased from us during the class or afterwards. 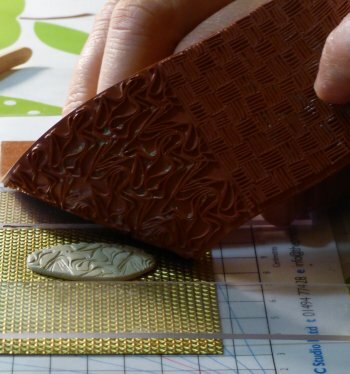 Precious Metal Clay for Beginners takes place at Vitreus Art @ Wakefield, 5 miles north of Milton Keynes on these dates; class runs from 10.30 to 16.30 approx. If you're ready to book, select the date you prefer and make your booking - debit / credit cards and PayPal accepted . We can also take personal bookings in our studio. If you'd like more information, please contact us or join our newsletter subscription to receive updates on all our classes! You can read more on our blog post about this class, here. If you like this class, you might also like Fused Glass Jewellery for Beginners - make funky fuseed glass jewellery while learning about glass fusing. "Excellent. I loved it. Lots of suppprt and encouragement." "With four students there was plenty of help. Everything prepared so well." 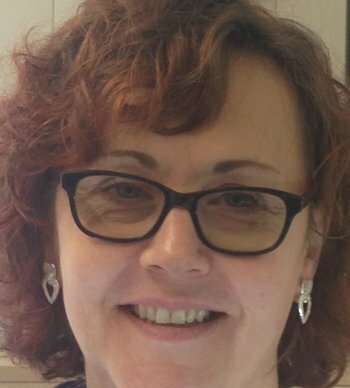 "An enjoyable and informal day, yet very informative and creative"
"The day flew by. Was interesting and inspiring and left me eager to do more in future." Jenny and Mike are developing new workshops to add to the established range of Vitreus Art classes in glass art forms. Our workshops aim to encourage anyone to jump right in and have a go, no previous experience required! Both Jenny and Mike have completed the UK PMC certification programme and are delighted to be able to share this exciting craft! We provide enough PMC clay for several pieces in the price!